The biggest complaint I hear from my patients with polycystic ovary syndrome (PCOS) is that it's so hard to lose weight. Patient after patient will tell me that they carefully follow diets and exercise and no weight loss. They see their friends and co-workers who do the same diet and lose weight but they don't. I believe them. Women with PCOS do have a harder time losing weight. Here are some reasons why. The hormonal changes that occur with this disease aren’t just an imbalance of the reproductive hormones such as estrogen, testosterone, and progesterone. Insulin, the body’s tool for dealing with sugar, is also affected and contributes to weight gain in a major way. Women with PCOS frequently have insulin resistance, meaning their body does not respond as quickly to high amounts of glucose. The sluggish body response results in larger amounts of insulin being required to metabolize a given amount of sugar. Insulin is a growth hormone. Its role in the body is to promote fat storage or weight gain. This is why you may have experienced a rapid weight gain out of the blue, despite a healthy diet and exercise plan. If left unchecked, high levels of insulin can cause complications like type 2 diabetes. Androgens, or male hormones, are typically elevated in PCOS, leading to the various symptoms that women experience. It is currently believed that high levels of insulin actually increase ovarian androgen production. This is not typically seen in women with high levels of insulin who do not have PCOS. There is some debate among researchers as to what is different about women with PCOS that this response happens. Thankfully, there are a number of treatments available today that can help you manage your PCOS. 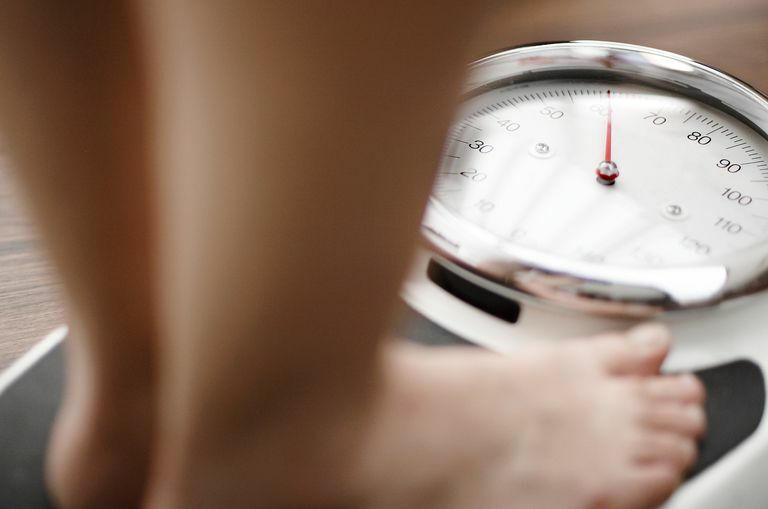 If you are overweight, weight loss can improve both reproductive aspects like regulating your menstrual cycle and helping with ovulation, as well metabolic ones like reducing insulin. Weight loss may also help to improve your PCOS symptoms, but won't necessarily make them go away for good. By following a healthy diet and beginning a regular exercise routine, you can help your body increase it’s response to insulin and possibly decrease androgen production. This may help reduce symptoms, restore normal menses and make it easier to conceive. While there are tons of gimmicks out there claiming to make weight loss easy, the most effective, healthy and long-term method for women with PCOS is good old-fashioned exercise paired with a healthy diet. Avoid sugary foods and beverages and cut back on saturated fat. Eat moderate amounts of whole grains, fruits and vegetables will provide fiber and help to control your blood sugar and insulin levels. Make sure to include servings of lean protein and plenty of water throughout the day too. For more specific instruction or a meal plan that is best suited for your body, consult with a registered dietitian who specializes in PCOS and can help you reach your goals in a healthy way. Exercise is a very effective way to reduce insulin and help with weight management. Many women with PCOS are intimidated by exercise. They may not know what to do or how to do it. The two most important things you can do is arm yourself with information and get active. Of course, check with your doctor before starting any exercise program. Start with activities that you enjoy such as yoga, walking, or weight training. Ideally, weight or resistance training should be twice a week. For best results, work up to 60 minutes of physical activity each day. Lastly, in addition to exercise and good nutrition, applying effective ways to manage stress is also important for weight management. Getting sufficient sleep, ideally 8 to 9 hours each night, is also very important. Can Weight Loss Surgery Help Women With PCOS? Is Pregnancy With PCOS Possible?